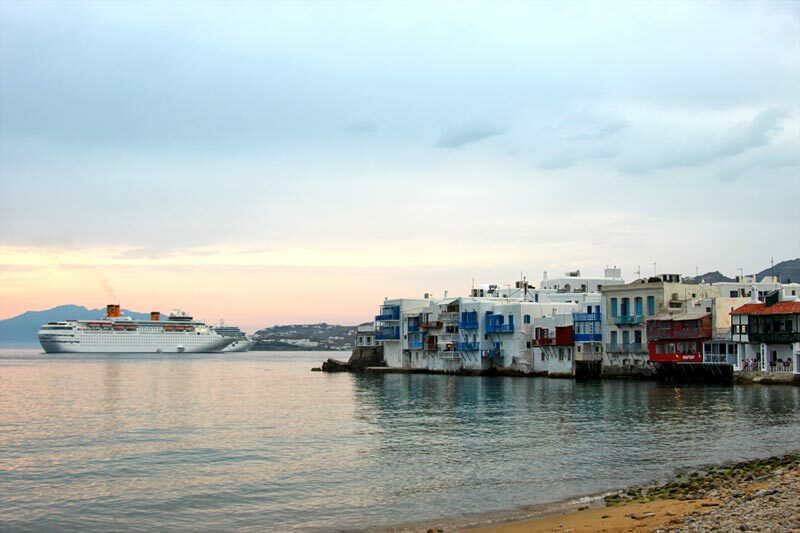 Before scheduling your holiday in Mykonos, you will most probably visit some of the most popular, reliable travel guides and read all about its spectacular beaches, picturesque alleys, whitewashed churches and fancy night clubs! Well, here we are to take you along a more private tour, that will reveal the secret side of this amazing island; an even more magical side that only a few have the privilege to discover while being there. When in Mykonos, behave like if you’ve been there a hundred times before… This will make locals love you and share with you beauties of the island they would never share with newcomers! They will take you, for instance, to the best fishermen taverns and invite you to taste their best homemade tsipouro drink! If you like the idea of being welcome in a traditional Mykonian home, share the daily routine of its residents, help them prepare the food and enjoy the most delicious recipes of the island, then take the famous cooking classes, available every day in Chora (Mykonos town). More than a lesson it is a cultural experience of the traditional Greek way of life! 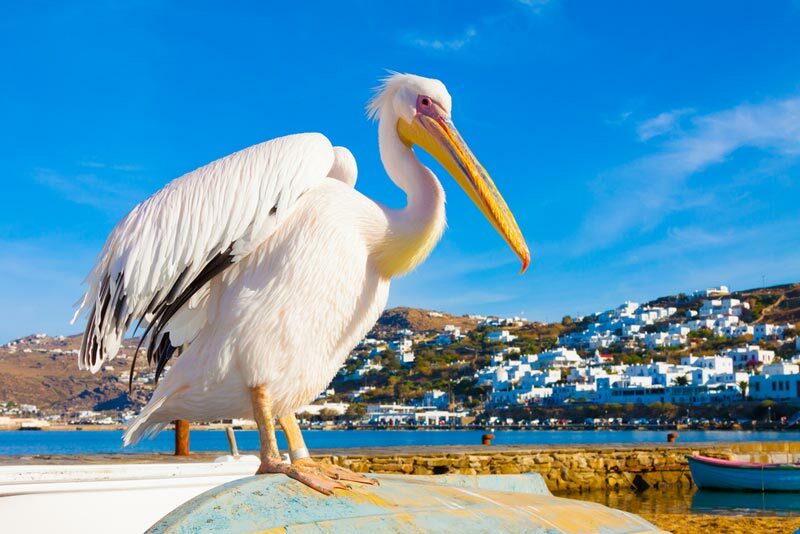 Caught by a fisherman back in 1958, Peter the pelican was the symbol of Mykonos. When he was found he was badly injured and was adopted by the islanders who named it Petros, from “petra”, which in Greek means rock. He may be the most photographed bird ever, as even celebrities like Jackie Onassis wouldn’t miss the opportunity of a picture with the locals’ mascot! Unfortunately, in 1985 Petros was killed by a car. His story is one of a kind that every authentic Mykonos lover should be ready to tell. 4. Stars under the stars! Open air cinemas are an exquisite attraction in Greece during the summer. So, while in Mykonos don’t miss a chance to visit Ciné Manto, located inside the Municipal Garden in Matoyianni. Inside the full of palm trees cinema area there is also an old church and an all-day cafe-bar-restaurant! You can choose to watch first worldwide released films and box-office productions for adults and children. 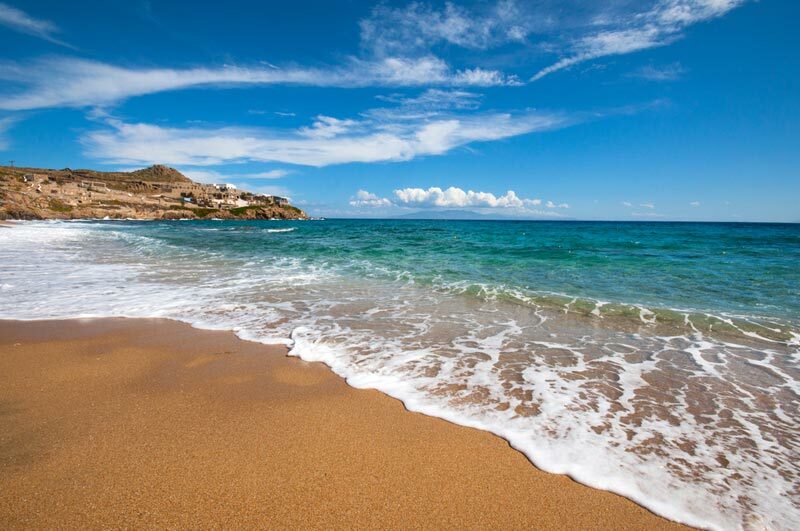 Mykonos beaches are famous as perfect spots for windsurfing lovers. Just a few lessons will help you become the wind tamer you have always dreamt of. However you must take extra care and always follow instructions as every summer the island has a large share of the strong annual meltemi winds which can be an awesome natural force to experience. Best windsurfing beaches: Kalafatis, Korfos and Ftelia! Speaking about beaches, you may have heard that Paradise is one of the most amazing all-day party beaches in Mykonos, with crystal clear turquoise water. What you may not know though is that is a spectacular location for scuba diving, full of different species, such as sponges, wrasse, sea bream, starfish, octopus and much more. You can rent all equipment and take lessons on location. A private tour of nearby Delos Island is an absolute must for every visitor of Mykonos. It is the only place in Greece where ancient private homes have been found in a wonderful state and are preserved in an equally wonderful way. Since 1990, Delos has been declared a World Heritage Site, protected by UNESCO. Tips for an unforgettable stay in this unparallel corner of the world could go on and on for hundreds of pages. From excellent VIP services tailored to your needs and organized tours, to organic wine tasting and walking around Chora with your personal photographer, in Mykonos there is always a once-in-a-lifetime experience waiting for you, just for the gods of the Aegean to make sure that, while being there, all of your dreams have come true!